The Irish Good Choice! 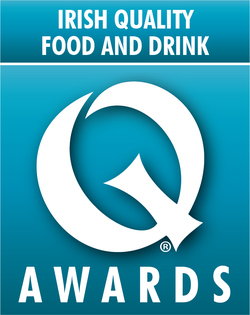 Quality Food Awards are open to food products that are specifically designed and marketed as Free From, for an alternative diet, or are healthier options to mainstream products. Health has become a significant factor throughout the industry, so these awards recognise the huge efforts being made by retailers and manufacturers to deliver food and drink that address specific consumer needs, such as low-fat, low-sugar, dairy-free, Free From and more. Entry fee per product: €335 + VAT. Small producer entry fee (fewer than 10 staff and annual sales under €1 million): €125 + VAT. Click here to request your Small Producer discount promo code.